The digital age has arrived. Unfortunately, the era of cloud computing is creating an increasingly larger chasm between the haves (enterprise companies) and the have-nots (small to mid-sized businesses). What that means is that organizations with little or no technical resources can find themselves at an extreme disadvantage over bigger competitors in today’s computer-driven business world. Of course, it doesn’t have to be that way. Today’s MSPs can fill many roles for the SMB today, from the technical support that long-term clients have relied on for years to modern-day system design and procurement services. Small business is changing, and many of those companies need help transforming their technical infrastructure and processes to compete with their larger competitors with deeper pockets (and internal IT teams). This type of broad, conceptual support is becoming the new norm in the MSP community. Whether managing it all themselves or leveraging the resources of multiple peers and vendor partners, providers must become the change agents their clients need to be successful today. The objective is to deliver the vision and framework required to address future business operations and concerns. Virtual CIO is one term providers have started using to describe their business model. Despite the change in vocabulary, most of those firms still provide technical support and deliver a variety of IT-related services. The difference is they take a more holistic look at their clients’ businesses. As their literal “chief information officer,” the virtual CIO helps frame strategic IT goals and budgets, assesses systems and business processes, and recommends related enhancements. The plans they develop, in effect, become a roadmap for business transformation. As the late Stephen Hawkins said many years ago, “intelligence is the ability to adapt to change,” and the channel has undoubtedly profited from that philosophy over the years. We’ve come a long way since the turn of the century when small businesses called in outside IT professionals merely to fix their computers and install new servers. Those activities transformed over the years and moved much further down business owners’ priority lists as advances in cloud and mobility shifted their technological demands and focus. Virtual CIO may be a more fathomable (and less awkward) term. Most MSPs aspire to reach that status today and may take months if not years to build expertise, shift business models, and refine their own messaging. The first step often involves automation and streamlining operations to free up more of their team’s time for consultation and educational activities. While data protection may not seem “transformational,” it is the foundational element of all organizational activities today. MSPs who understand and can readily address the infrastructural deficiencies and workplace needs of their clients are better positioned to sell them additional services and transform their operations. Most importantly, cybersecurity is a differentiator that drives new sales and boosts customer retention. Competitive SMB organizations require the same level of enterprise-class systems as their largest peers. Today’s communications platforms deliver those types of features and functionality to any company with a good internet connection. The opportunity for MSPs is multi-faceted, from helping their clients assess all their options and selecting the right systems to providing first-level support, handling implementations and integrations, and managing the monthly billing. The options are plentiful, so businesses value providers who can guide their decisions and transform these systems with minimal interruptions. Uptime has a premium. The cloud era has arrived with many companies exploring if not already transitioned to Office 365, G Suite by Google and other virtual email services. Benefits of these applications include easier workplace mobility and greater flexibility in billing and integrations (including connections with hosted VoIP services like ConnectMeVoice). While businesses value voice communications, traditional land-line phones don’t deliver what today’s leaner, more mobile workforce require. Hosted VoIP gives them portability and flexibility, and seamlessly adds features and functionality to address shifting user needs (with no interruptions). These solutions tend to look complicated to many small business owners ‒ between configuration on various devices and all the integration options ‒ which increases the value of the consultants/MSPs who deliver these highly flexible cost-saving services. Applications such as Slack, Hive, and Workplace allow employees and trusted third-parties to share information real-time and create group discussions about projects and activities. The MSP’s roles may include evaluation, procurement, implementation, and training. While BTaaS (Business Transformation as a Service) may not catch on as the latest tech term, the process it describes is a real opportunity for channel firms today. The SMB needs help and MSPs are uniquely positioned to deliver these types of consulting and support services. Business transformation is an area where providers can enjoy higher profitability and improve their standing with clients and prospects. 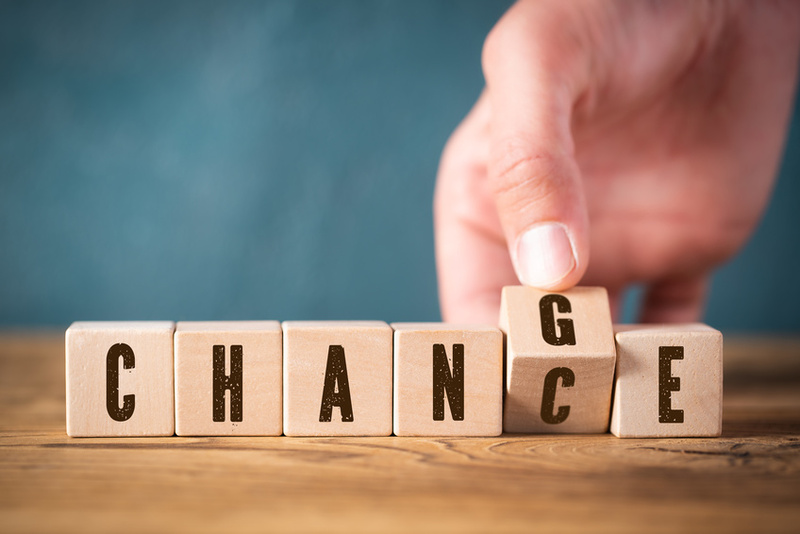 With margins tightening on many technology fronts and competition heating up, becoming a change agent for the SMB is an opportunity MSPs shouldn’t overlook.